While it may not be food that brings you to Park City, Jackson or wherever you choose to ski, food, of course is necessary. And the need for sustenance rises for those who sit on a chair in the cold for three to four hours in a day. So you can wolf down a Tram Bar while you ride the chair, and that’s something we advise, especially if it’s snowing. But after the slopes close, everybody enjoys finding food that’s exceptional. It caps off the day and sets skiers up to tackle the next. In the name of refueling with style, we compiled the list of the top restaurants at some of the alpha ski resorts in North America. We may have missed a few, but we took time to ferret out spots unknown to us in addition to our favorites. 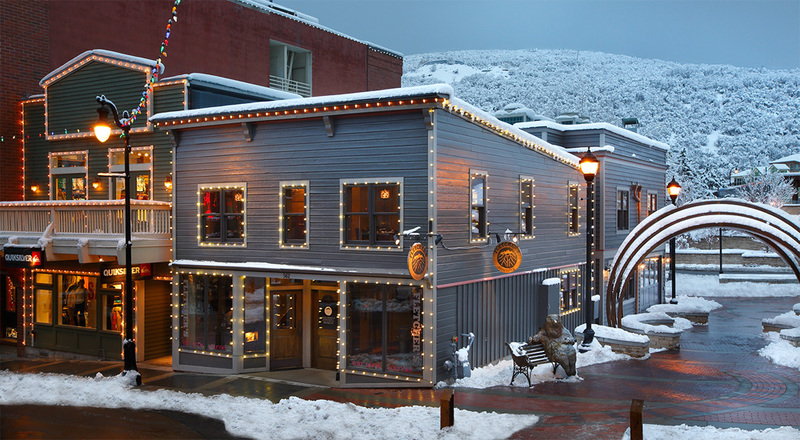 Located in the heart of Park City’s Main Street, Fletcher’s opened in 2015. Serving New American cuisine, Fletcher’s has a compact menu full of seafood and red meat. Don’t be put off by Fletcher’s only having one appetizer on the menu; the cheddar chive biscuits with bacon jam are the real deal. The biscuits are warm and flaky and the jam will have you wishing you could buy it by the jar to take home with you. The short rib grilled cheese sourdough bites are as good as they sound. These adult grilled cheeses are stuffed with roast garlic aioli, beehive promontory cheddar, tomato and arugula between grilled sourdough slides. Warm and light inside, The Kitchen will keep you coming back because of both its ambiance and good and adventurous eats. To start, order the luxury shrimp, a boat of battered shrimp bites with a sweet and spicy aioli topped with sesame seeds. Fresh and light, this app can serve three and is well priced ($15). For entrée’s, the seafood risotto is a must-try with bay scallops, Louisiana rock shrimp, and Bang’s Island mussels. To finish off the meal, order the cast iron cookie, you won’t be disappointed. 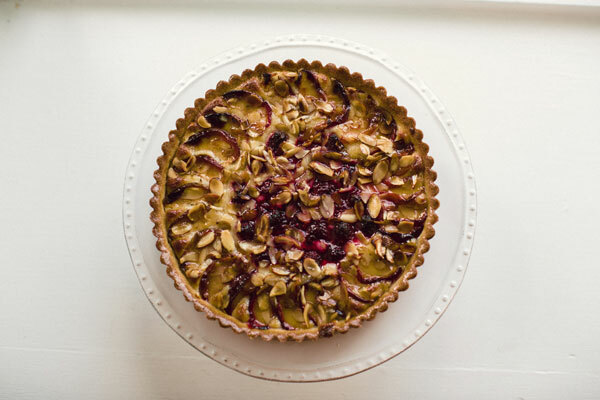 Located off the town square, Persephone Bakery has it all figured out. This independent coffee shop serves Intelligentsia coffee along with mouth-watering breakfast and lunch menus full of egg sandwiches while also offering an assortment of fresh, handmade pastries for those looking for a quick breakfast. The cinnamon brioche will be enough to keep you coming back; swirled with brown sugar and cinnamon, it is flakey goodness. Once you try this place it’ll become your one-stop shop for pre-slopes fuel and grub. Get there early or you will be disappointed. It’s a small, cozy place and it’s status as Jackson’s top bakery is no secret. Chef-owner Chad Scothorn creatively blends New American cuisine with French, Thai and Japanese cuisine, offering Telluride a welcome change from typical mountain food. Its location can’t be beat either: take the gondola up from Mountain Village and you’re right there. Once inside, this high-end restaurant doesn’t feel stuffy. To start, try the Skuna Bay salmon sashimi, one of many sushi dishes that are more than just visual masterpieces. With a generous portion of fresh salmon, this dish is completed with onion, jalapeno, salmon roe, sprouted daikon radish seeds, avocado and sesame sauce. For an entrée, choose from seared duck breast, lamb chops, seafood stew and other seriously delicious dishes. When it comes to diner breakfast food, seldom are there restaurants that are able to separate themselves from the pack. The Little Diner has done just that. With an enormous menu and a, as the name suggests, small space, take a look at the menu as you wait for your table. The Pannekoeken is separated on the menu for a reason: often called a Dutch Baby, this colossal, made-to-order popover-like creation is doughy in the middle, crispy on the outside and definitely enough to share, if you’re willing. 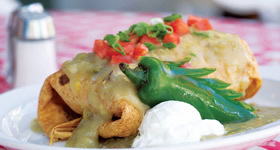 For a savory option, try the Taxi Driver Special, two fried eggs over hash browns topped with pork green chili, and of course, cheese. 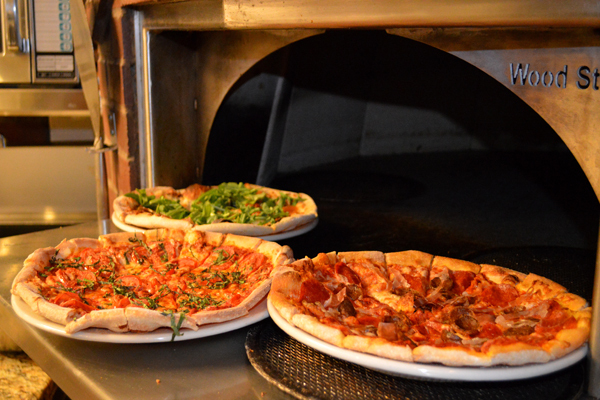 It’s not often that an Italian pizza joint gets 4.5 stars on Yelp. It’s also not often that you find simple Italian dishes and pizza this good. Moderately priced, Beaver Creek’s Ticino is a hole-in-the-wall that isn’t trying to be anything it’s not. This hidden gem offers fresh homemade pasta, authentic thin-crust pizza, and a relaxed and casual ambiance that will have you wondering why you haven’t heard of this place. To start, get the antipasti misto, a plate full of all the classic Italian cured meats, sliced cheeses, Kalamata olives and other even more. Just make sure to save room for some pizza. Grouse Mountain Grill is a high-end restaurant whose prices match the quality. With a killer wine list and a wait staff that knows its stuff, Grouse Mountain offers a satisfying dining experience from start to finish. The Berkshire pork chop is a well-known favorite prepared with a pretzel crust and a sweet orange mustard sauce and served atop Brussels sprouts, apples, bacon and a grit cake. For the more adventurous, try the roasted sausage stuffed rabbit loin. Even better? It’s wrapped in bacon. And don’t skip out on dessert: the apple bread pudding served with salted caramel ice cream is a simple favorite. Affectionately called the Pio, this casual Western-themed restaurant is adorned with mounted animal busts, furnished almost entirely in dark wood, and kept dimly lit. The Pio offers a menu full of items that would make any carnivore smile in delight. The prime rib is famous but that doesn’t mean the rib eye and the cowboy cut rib steak are anything to ignore. Not in the mood for red meat? No problem. The grilled freshwater shrimp is a great alternative, along with a loaded baked spud complete with sour cream, scallions, and, of course, melted cheddar cheese to top it all off. Again located in Ketchum, this moderately priced Asian fusion restaurant offers a tasty alternative to typical western mountain food. Chef Andreas Heaphy likes to call his cuisine “ethnic street foods.” Whatever you want to call it, it’s damn good. Come in for lunch or dinner, just be sure to order the Thai Beef salad, with grilled steak medallions, rice vermicelli and a chili-lime dressing. Heaphy does most things right here from the standards such as the pork pot stickers to the Vietnamese caramel pork ribs topped with chilies and cilantro. Be prepared to wait during peak times, as Rickshaw doesn’t take reservations and is a Ketchum favorite. Open for breakfast and lunch, this traditional American café and grill located in downtown Steamboat is no joke. You won’t need to look for another breakfast joint in town when you have it all right here. Famous for just about everything, I suggest looking at the eggs benedict section of the menu. Go for the Little Buddy, your class eggs benedict with shredded corned beef grilled crisp rather than ham served atop seasoned potatoes. For your sweet tooth, you can’t go wrong with the fluffy oatmeal pancakes complete with your choice of sweet topping. And that’s just brunch. Come back later for a large selection of salads and sandwiches. A Whistler favorite for thirty-four years, Araxi has you covered when it comes to anything seafood. You can’t go wrong with a large selection of fresh, raw oysters. If you’re willing to spend a little more for a little more, opt for Two Tier Seafood Tower for the table. You’ll get ten oysters, six chilled prawns, one pound of mussels, seared tuna, jellyfish, a spicy tuna roll and wild smoked salmon. Feeling for some comfort food after all that? Try truffle fries for the table. They are seriously good and seriously popular – how could truffle oil and salt atop perfectly crispy potatoes not be a hit? For dessert, try the Valrhona Chocolate Fondant, warm chocolate cake with milk chocolate earl grey tea ice cream. Located in the town center of Mammoth Lakes and serving New American cuisine, 53 Kitchen is open all day, serving breakfast, lunch and dinner. Start the day off with the avocado toast, a 53 specialty consisting of smashed avocado cilantro, peas, and lime butter on grilled bread with two sunny side up eggs to top it off. After a long day of skiing, grab the Irish 53, fresh coffee with house Irish whiskey topped brown sugar and housemade Irish crème. Stick around for live music every Friday and Saturday and check out the website for the music schedule. Run out of the Cedar House Sport Hotel, the Stella Dining Room and Kitchen serves New American cuisine in a not-so traditional manner. Only available in pop-up dinner format on Friday and Saturday nights during the season, Stella serves a four-course tasting menu with wine pairings with each dinner series bringing a new menu at a different location in the area. The watermelon salad with pluots, apricot-cardamom purée, coppa salami, lemon oil and balsamic is both visual masterpiece and a culinary treat. On the schedule this February, are a “Chinese New Year” dinner and “Basque Night” dinner, along with other found on their website. Come to Stella ready for creativity and adventure and make sure to book early in the season. There is nothing flashy about White House Tavern. Located in a 130-year-old house in downtown Aspen, the White House Tavern offers upscale bar food in an intimate modern, lodge setting. With a small menu of sandwiches, salads and sides you can’t go wrong. Simple favorites include the French dip sandwich and creamed corn. 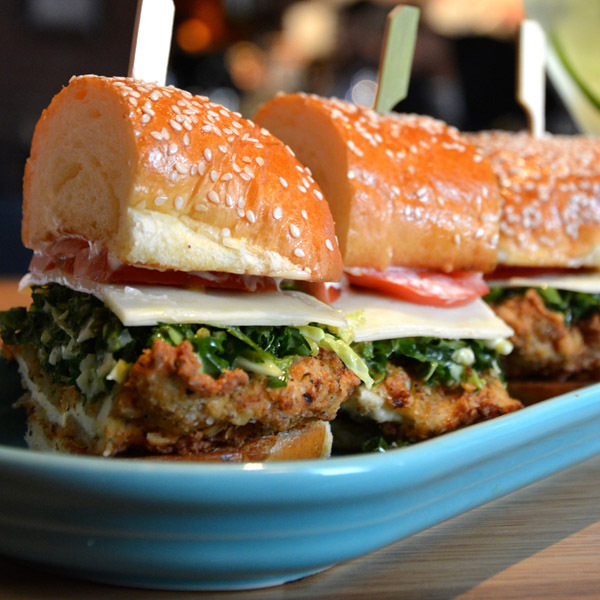 The crispy chicken sandwich fuses the traditional and the adventurous with Swiss, tomato and spicy slaw served in a house-made torta. Be prepared to wait during peak times and in season, the Tavern does not take reservations. It’s worth any wait you may encounter. Leah Roche is an associate producer at ZRankings. Find her on Twitter here.